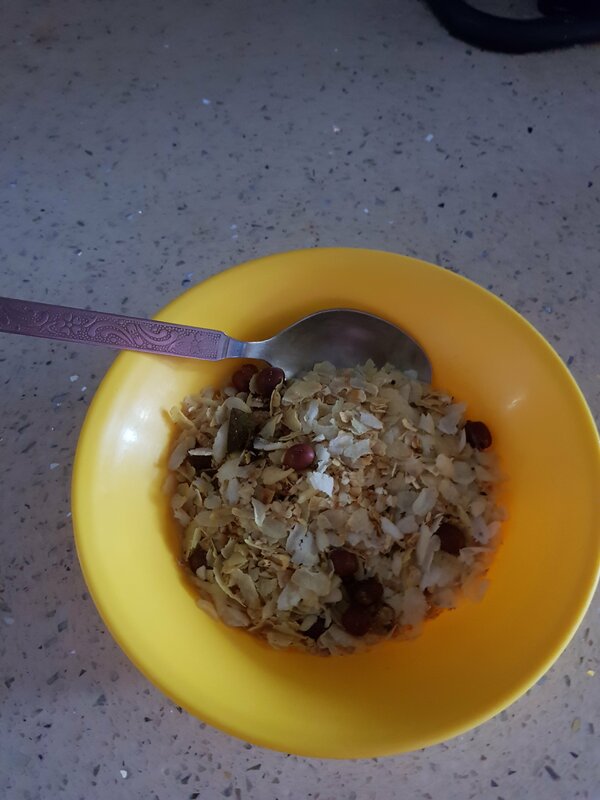 This “easy peasy lemon squeezy” kids snack will need 15 minutes, oats,thin beaten rice,groundnuts, red chilli and salt and sugar. super quick and super tasty. Next Next post: And then one day..